Livonia-based financial firm Concorde Holdings has appointed Matthew Ingber as its new COO. 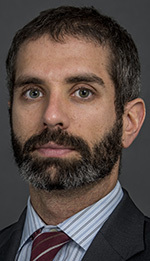 Ingber, of Troy, will be responsible for organizing the development, communication, and implementation of effective growth strategies and processes. He will also be in charge of operations for Concorde Investment Services. Before joining Concorde, Ingber worked for the Great Lakes branch of Troy-based AXA Advisors. As the director of operations and CFO, he focused on rebranding the company by developing new technologies and increasing operational support. He has almost ten years of experience in the financial services industry, with an emphasis in operations, team building, and integrating operations with sales, compliance support, and technology. Ingber graduated from Michigan State University’s Lyman Briggs school with a degree in astrophysics.